Apparently Sandman just can’t catch a break. The movie that has been in development hell for years still hasn’t made it out. Now, the one character from that world who is making it off the comic page, Lucifer, is dealing with a petition to keep him off of Fox. Neil Gaiman’s response? Good luck with that. 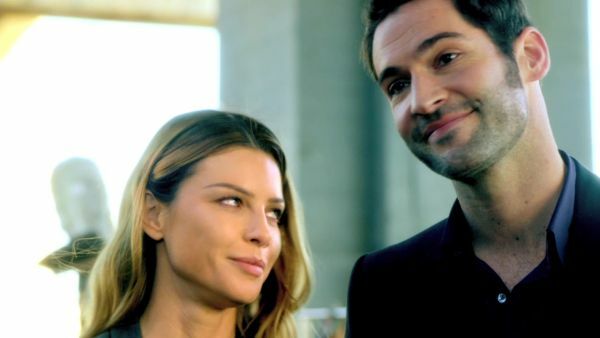 Gaiman posted a story to his Tumblr this week about a petition set up by the organization One Million Moms attempting to prevent the release of the upcoming Fox show Lucifer this fall. Here's his response to it. Good stuff, right? And if you remember, Gaiman did not write such a letter, and due to the ensuing protest, Sandman was never published. Oh, wait, that’s not what happened at all. It’s one of the most popular comics of all time and won enough Eisner Awards to fill several bookcases. The current issue for the AFA is that the upcoming show Lucifer, which is based on a character from the Sandman comics, depicts the lord of Hell in too positive a light. He’s a nightclub owner in Los Angeles who ends up working with an LAPD detective to solve crimes (because of course he does). To be fair, an image like this looks like show is a bit more Castle and a bit less Dante's Inferno. Much like the original Sandman controversy, this appears to be an issue of perception more than anything. The CMA didn’t like the idea that Wanda, a trans woman, was in the original comics. At this point, we have little information on who the character of Lucifer Morningstar really is. All that we have to base our opinion of Lucifer on is a three minute trailer which has obviously pulled all its footage from the pilot. While it’s safe to say the lead character falls into the anti-hero category, we don’t really know how he'll be depicted. There have been plenty of lead characters in TV and movies who have been downright evil, and it appears that if that were the case here, none of the Million Moms would have an issue. It’s unlikely anything will come of the petition. These days, dealing with issues like this is the cost of doing business. Although if the show gets cancelled early, expect the AFA to take credit. We’ll deal with a much more important issue with Lucifer - whether or not the show is any good - this fall.